Things can get a bit slow when you’re approaching your 100th year of life, and for Ernie Andrus, that was truer than ever. Getting restless, he picked up running as a way to pass time and stay fit, but that didn’t really do it for him. He wanted a real challenge. He wanted to do something different. 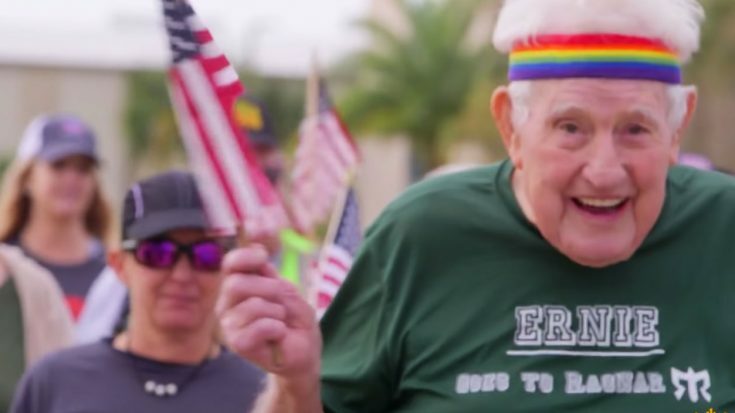 In 2016, then 93-year-old Ernie Andrus completed a remarkable feat: he became the oldest person ever to run across America. For this reason, in 2016 Ernie became the oldest person to run across the United States, hitting St. Simmons Island, Georgia when he was 93. Immediately after completing his challenge (and with people screaming and greeting him at his finish line), he felt like he was already “fading into history.” Although he was the oldest person in the world to accomplish this feat, he decided to do it again. You can see the full CBS Evening News report below which included a short, yet informative interview with Ernie.